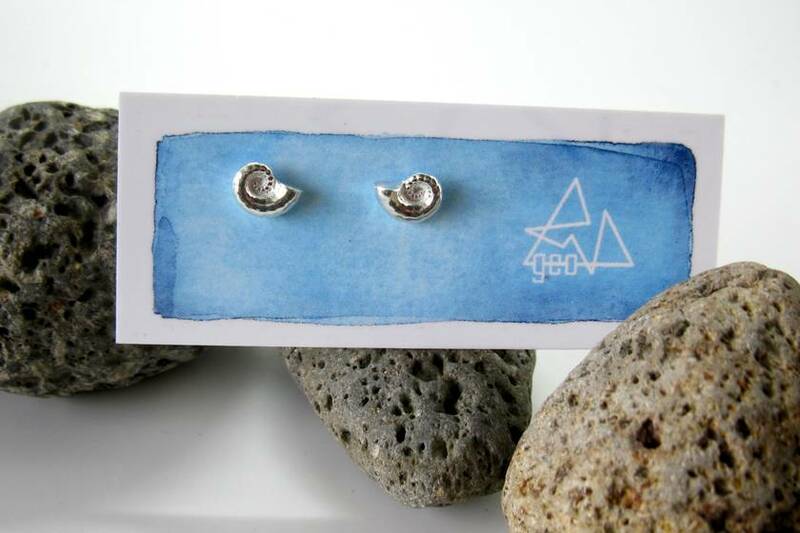 These studs are made from the delicate horn like 'shells' that are washed up all over the world -they are not actually shells but the buoyancy organs of a type of squid! 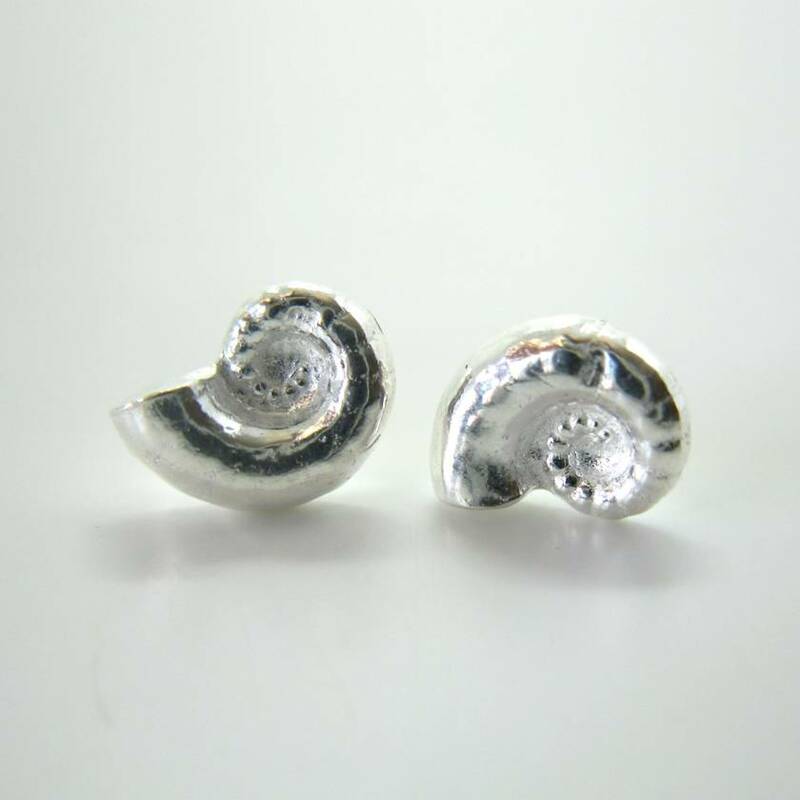 To me the beautiful curves remind me of the pikopiko unfurling fern fronds. A mirror image pair. 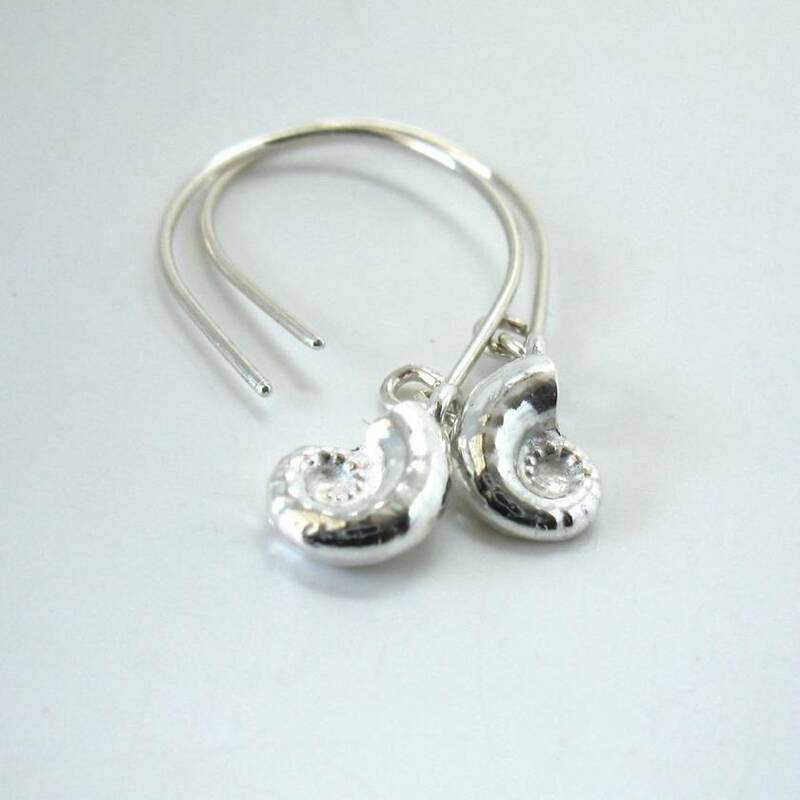 Made in solid sterling silver including posts and backs. Also available as drops and as a pendant. Contact geojewellery to enquire about payment or shipping options.